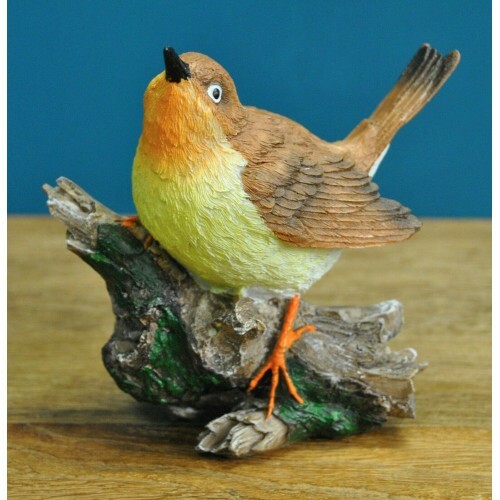 This plucky little fellow is perched on a branch looking at his territory - ready to let out a distinctive cry if anyone dares to venture onto his patch. 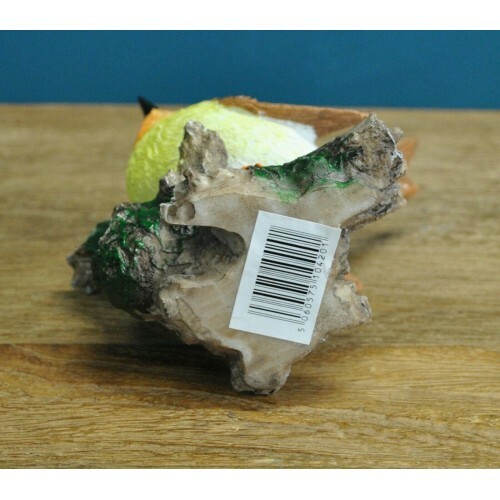 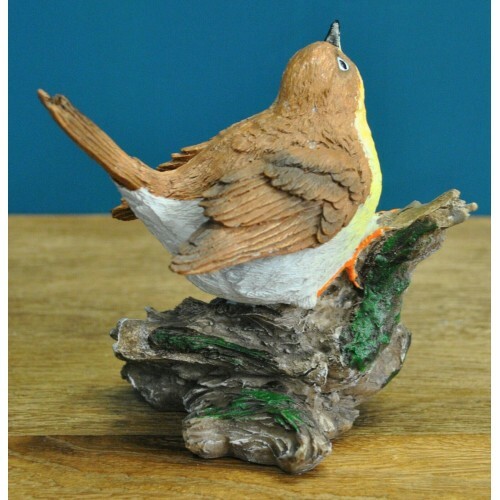 Hand painted and made from resin, this lovely ornament has a wonderful level of detail, and although it looks intricate, as it is made from resin, it is hard wearing and tough (although resin can snap if dropped so please be aware of this). 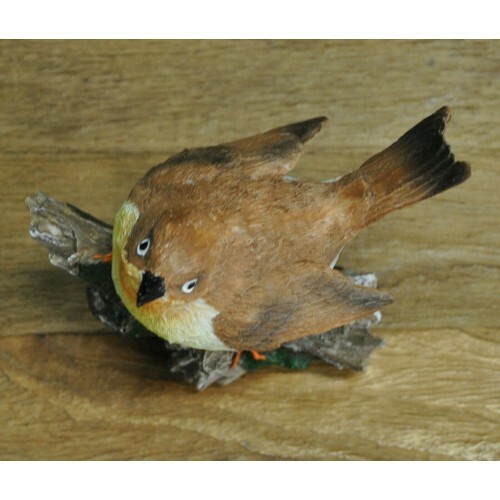 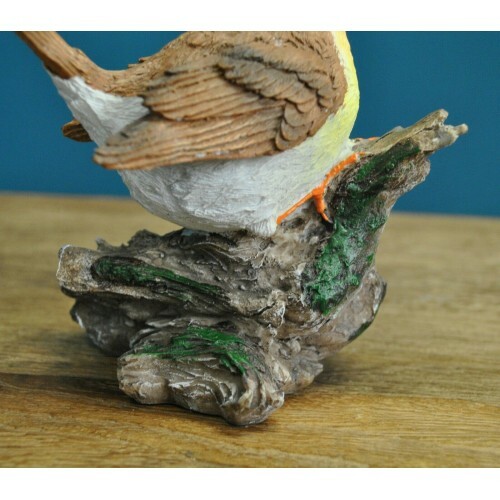 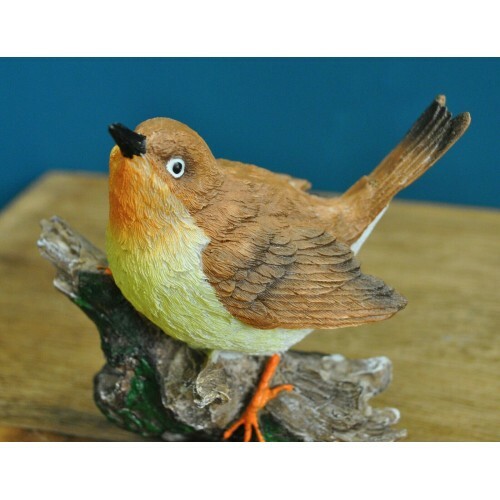 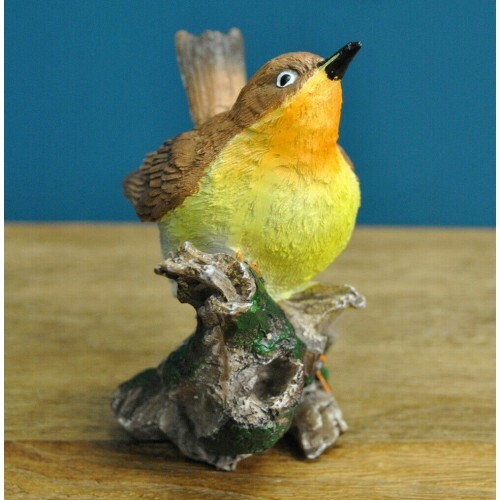 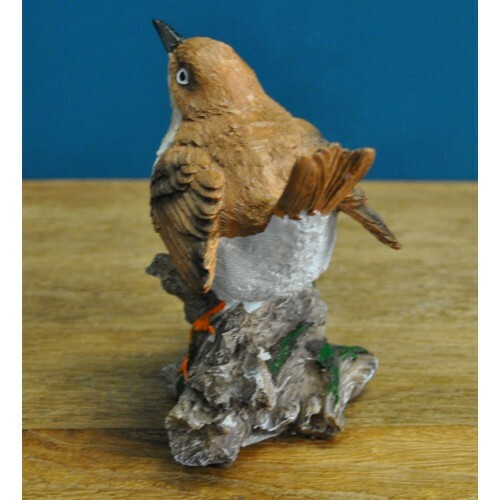 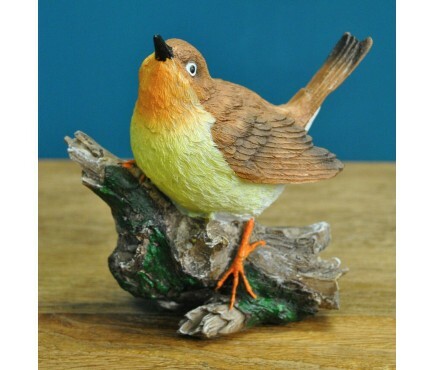 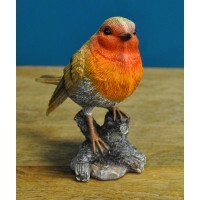 Measuring 11cm high by 10cm long and 7cm wide, this robin has his tail in the air and has a puffed out chest as if to say 'I'm in charge here!'. 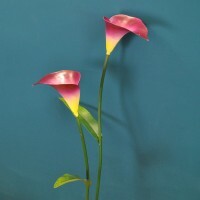 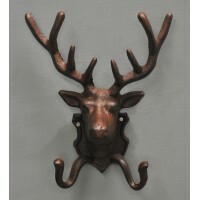 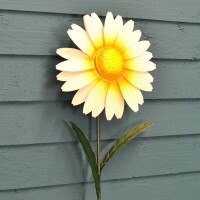 A charming feature for any garden.